Bringing a Caribbean style to Costa Rica’s Pacific Coast. Easy, affordable escape for a couple, their two children and friends. 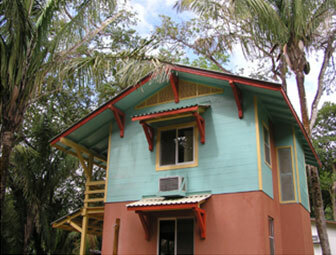 Tropical wood siding, 800 sq. ft., 2 bedrooms/2 bathrooms. La Selva Beach, California 95076. © 2018 MP Architecture. All rights reserved.